EDDIE VEDDER gave me a TROPHY!!!!! I AM FILLED WITH ABSOLUTE JOY. last month i saw a flurry of tweets after michael moore (yup, that one) posted on twitter that eddie vedder, the singer of pearl jam, had covered the “ukulele anthem” at a new year’s eve show. 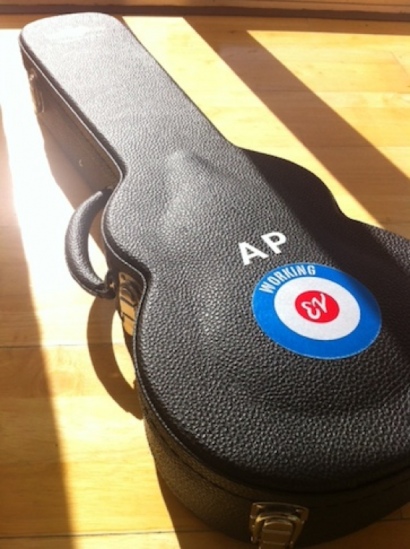 eddie vedder played one of my songs!!! eddie vedder and pearl jam are amazing for so many reasons – beyond the music, they are a force of goodness, they take great care of their fans, they fight the good fight in the music industry…and they have been through so much as a band. then his tour manager got in touch and said eddie wanted to send me a present. it so happened that he was in melbourne just a few days before i got here, so he left the present at a hotel, and i went to pick it up from the lobby. the night before i went to pick it up, i saw the VERY tail end of the australian open. i was like: wow, that is a BIG trophy. and it’s pretty too. then i woke up in the morning and walked to the hotel, and went to the front desk. “why yes, hello. mister vedder left a package for me” and i felt like i was in a cross between a 1940’s hitchcock film and a weird grunge documentary. and he’d put my name on it!!! but he left out the “F”. 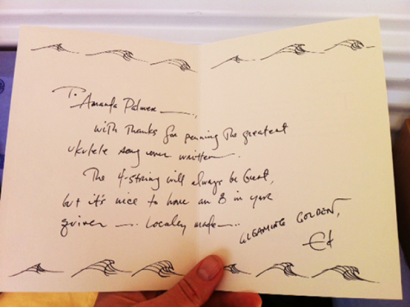 and he wrote a really, really nice card. EDDIE VEDDER JUST THANKED ME FOR PENNING THE BEST UKULELE SONG EVER WRITTEN!!!! and i hopped up and down and all around. then i was leaving the hotel, and there was a big car waiting outside the front door and i was fiddling with my phone to see which way to walk, and stanislas wawrinka, winner of the australian open, walked right in front of me, holding his trophy. and i was like: i know that guy! I SAW THAT TROPHY ON THE TELEVISION LAST NIGHT. OH YEAH? 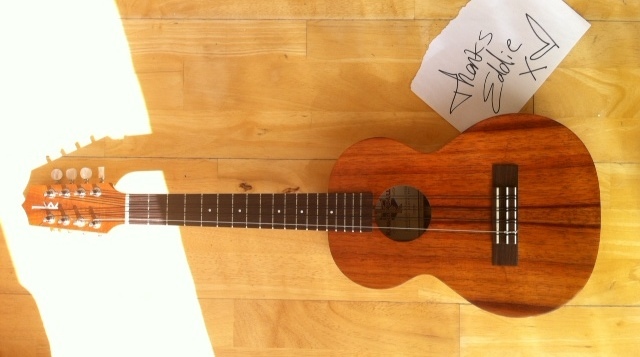 but *I* HAVE A GIANT EIGHT-STRINGED UKULELE THAT EDDIE VEDDER GAVE ME!!!!!! 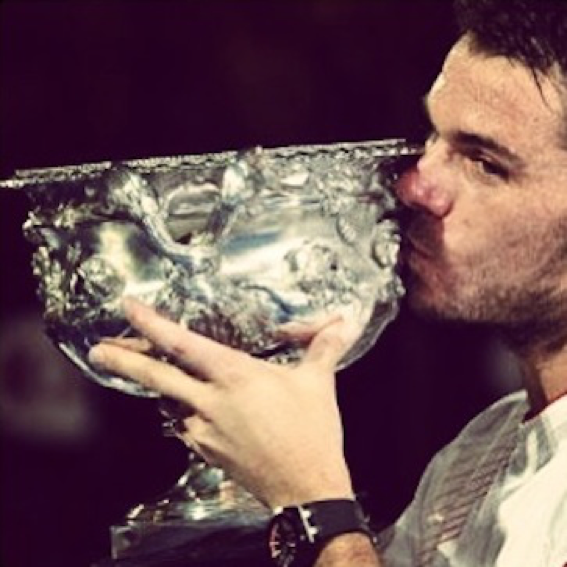 BUT I WON THE AUSTRALIAN OPEN CHECK OUT THE SIZE OF THIS MOTHERFUCKEN TROPHY BETCH!!!! OH YEAH? 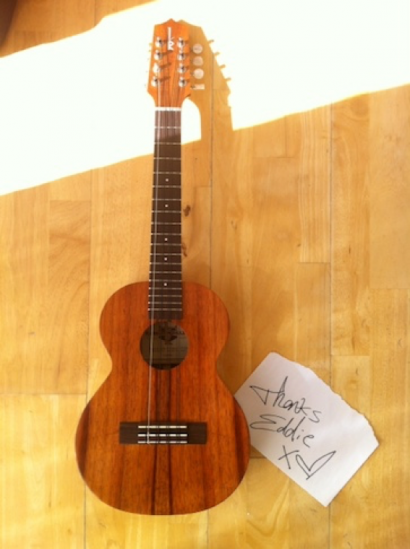 BUT EDDIE VEDDER WROTE ME A CARD AND SAID I’D WRITTEN THE BEST UKULELE SONG EVER!!!! 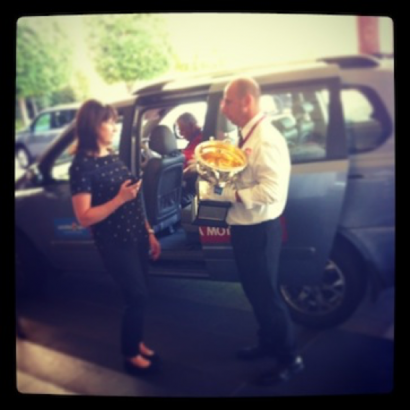 but actually…i was just really nice and he was really nice and i didn’t want to be rude and ask for a picture because i figured he was super tired because he’d just won the australian open so i settled for taking a picture of the trophy going into the car, because, like, why not. i’ve been working really hard on the book all week and thinking, thinking, thinking, thinking about how we ask and give and help and thank each other. there is a great Cycling of Things. 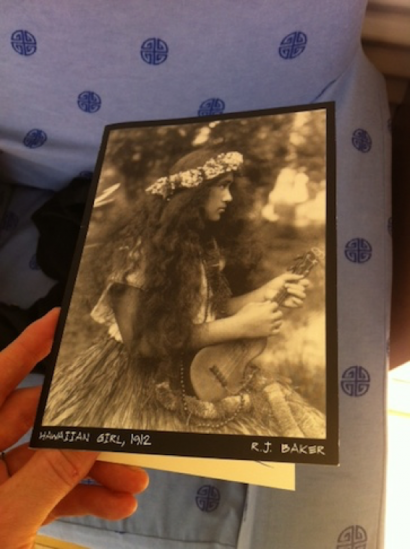 the fact that eddie vedder covered my song, and then took the time out of his crazy touring life to buy me a ukulele in hawaii and bring it here and write a card and all that…it just gives me more faith in humanity than i can tell you. 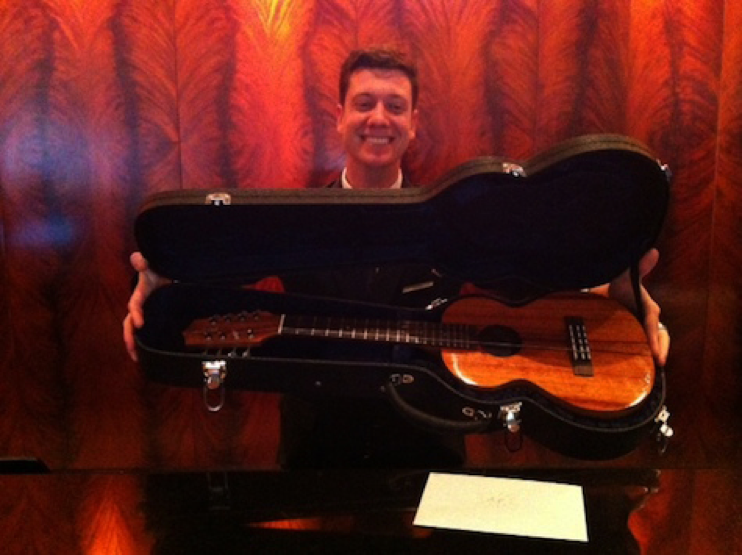 my ukulele is like the trophy. and i think it’s better. 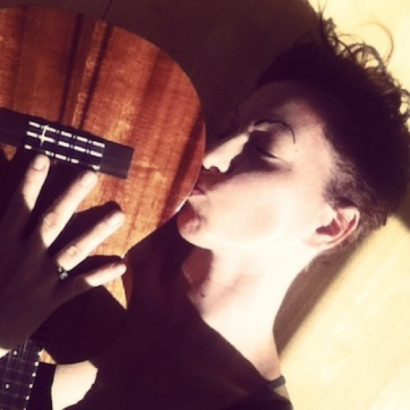 music isn’t a competition – it’s the exact opposite. it’s a force of love in a never-ending circle, going UP.